Our blogging “career” ,with it’s silly name of “Our Hiking Blog”, started following a wonderful trip we did in March 2006 to the South Coast Track in Southern Tasmania. Sue was so taken by the walk she found it cathartic to write a track report of the trip for her diary. We then decided it would be great information to share and the blog was created. The name described what it is, Our Hiking Blog, a blog about our hikes. As background, we are a couple in our early 50’s that live in Portarlington, Victoria, Australia. Over the last 5-6 years we have rediscovered hiking and get out into the bush as often as possible. 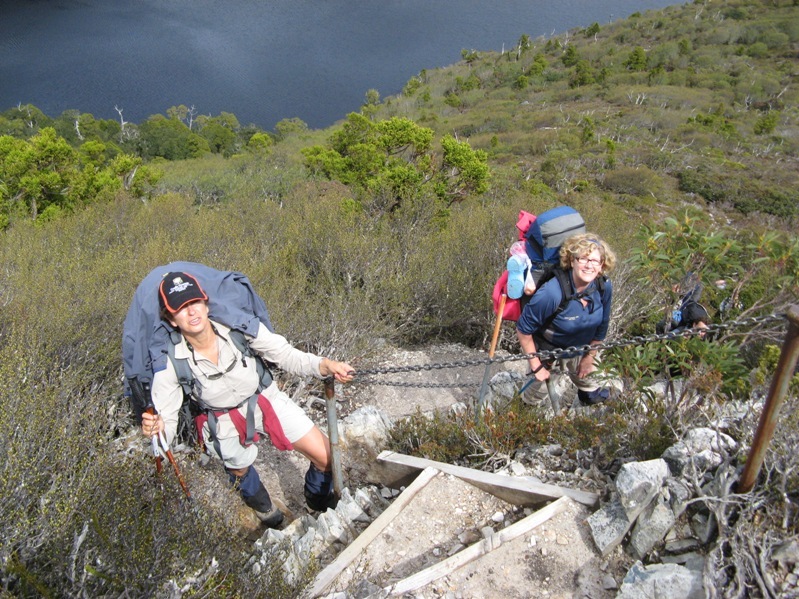 Our focus is usually on multiday hikes and our preferred location is in Tasmania. With the advent of cheaper airfares it is relatively easy for us to fly the one hour to northern Tasmania and be in pristine wilderness a couple of hours after that. Frank has been hiking since he was in the Boy Scouts in the 1970’s and was lucky enough to achieve his Queen’s Scout Award. Sue has had a love of the bush instilled in her since she was a young girl helping out on her grandfather’s farm. We did our first multiday walk together (with Clare) in late 2003. It was the Overland Track in Tasmania. We loved it so much; Sue and Frank returned and did it again in early 2004. From then on we were hooked. 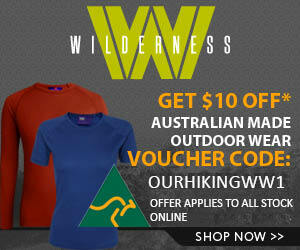 We have three young adult children who also love getting out into the Australian bush. They have been camping with us since they were babies. Clare, the eldest, has completed the Outdoor Education Degree at La Trobe University in Bendigo. She is probably the most experienced hiker in the family. She has contributed to “Our Hiking Blog” on a post about vegetarian hiking food and has joined us on several trips. In late 2008 she paddled the Franklin River in Tasmania as the last exercise for her degree. Tom completes year 12 in 2009 and when we can get him away from his computer games, enjoys a camping or hiking trip. He joined us on our trip to Hinchinbrook Island and the Thorsborne Trail in 2007. He did his first Tasmanian walk with us in December 2008 from the Walls of Jerusalem to the Overland Track and Cradle Mountain. In our spare time, Sue is a teacher and Frank dabbles in IT. We both enjoy planning every aspect of our hiking trips and sharing them with others – hence the Overland Track eBook was born.